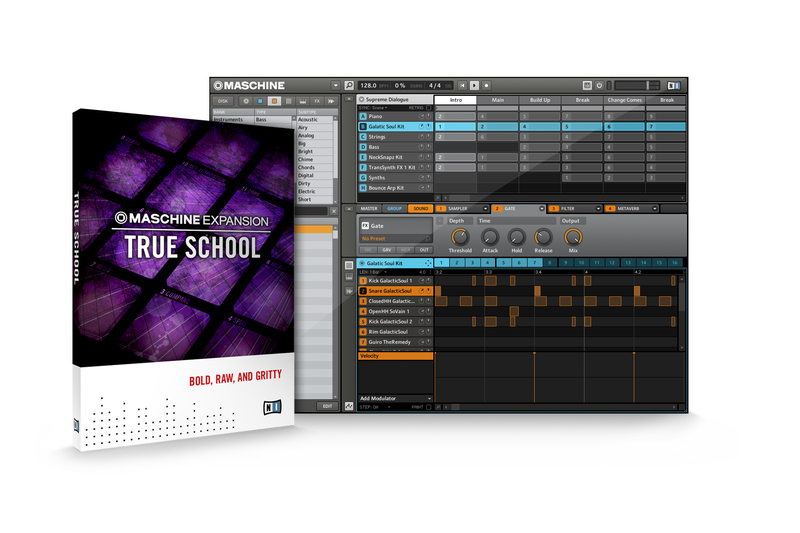 Berlin, October 20th, 2011 – Native Instruments has just introduced TRUE SCHOOL, a new entry in the series of download libraries for the acclaimed MASCHINE and MASCHINE MIKRO groove production systems. Combining classic hip hop sensibilities with futuristic sound aesthetics, the expansion provides an arsenal of original drum and instruments sounds that can lay the basis for organic yet profoundly modern-sounding productions in Hip Hop, Dubstep and various left-field electronic genres. A compact version of the expansion will also become available for the recently released iMASCHINE smartphone app. TRUE SCHOOL includes 40 charismatic kits based both on acoustic and electronic drum sounds, all enhanced with sonic artefacts and other charismatic embellishments but with their respective natural room sound intact. The resulting sound material is both bold and sharp as well as warm and gritty at the same time. The kits are complemented by a selection of 70 carefully designed instrument sounds created in the same sonic vein, ranging from re-sampled and specifically processed strings, brass and piano sounds to distinctive leads and basses sampled from selected sought-after analog synthesizers. All sounds and patches in TRUE SCHOOL integrate seamlessly with any existing sound library of MASCHINE, with full categorization metadata and automatic parameter assignments. The expansion also contains 6 demo projects with professionally produced patterns and licks that showcase the character and scope of the library. TRUE SCHOOL is now available for download purchase in the NI Online Shop for $59 / 49 EUR. For the iMASCHINE groove sketchpad for iPhone and iPod touch, a compact version of TRUE SCHOOL with 3 drum kits and 5 instrument sounds will become available shortly as an in-app purchase for $0.99 / 0,79 EUR.